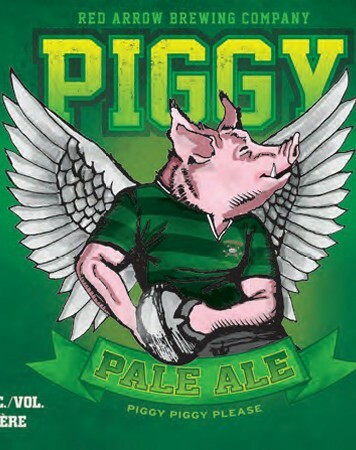 Description: This latest regular release by Red Arrow Brewing was released in collaboration with the Cowichan Bay Rugby Football Team, and named in their honor. A pale ale, this brew consisting of a pale malt base with a medium dosing of West Coast Hops to create a highly drinkable pale ale. Tasting Notes: I’m quite proud that this operation, which exists just up island from me, has been expanding so nicely. While I’ve generally felt that their beers are a bit on the light side, I’ve enjoyed everything I’ve had from them so far. And this beer is certainly no exception. As pale ales go, its very drinkable, very quaffable, and meets all the must-haves of a good West Coast pale. This includes a good malt base accentuated by piney, citrusy and bitter hops, and a nice clean finish. Description: This beer made its debut during the Great Canadian Beer Festival, and is now available as a limited release. 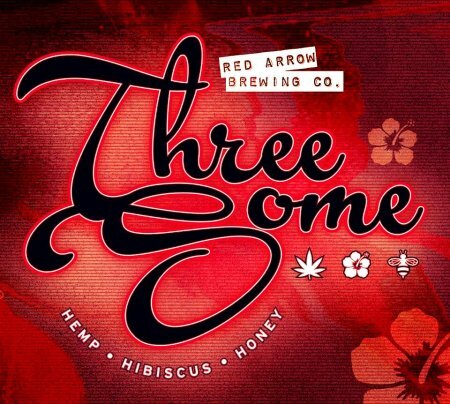 As the name suggests, the beer employs three special ingredients, which include hemp, hibiscus and honey. Tasting Notes: This brew was perhaps a bit light for my taste. With ingredients like hibiscus, hemp and honey, I was expecting a bit of a more robust flavor. Still, the beer it does come through in the refreshing and clean tasting departments. A smooth malt base is nicely accented by fruity esters, nuts and some herbal, citrus notes. Description: This dark bock beer is a seasonal Spring beer, but one which is equally enjoyable during the cold, winter months. It fashioned using a combination of wheat and barley malts which are then subjected to a longer than normal maturation process, thus resulting in the venerated bock style. Tasting Notes: This is the next sampling in my Erdinger pack that came in honor of Oktoberfest. And so far, it is my running favorite. Smooth wheat malts and barley malts are accented by notes of brown sugar, dark fruits, and a gentle hint of herbs and a spicy yeast base. And yet, much like all Erdinger beers, it remains very smooth and drinkable. Reminds me of why I love bocks! Description: The dark twist on the Erdinger Weissbier, the Dunkel employs an increased proportion of the original wort and fine yeast. The end product is then matured in the bottle in order to effect a deeper, richer-tasting wheat beer. Tasting Notes: This is my second sampling from the Erdinger pack, and another that I’ve never before had the chance to try. As Dunkel wheats go, this one was a bit subtle for my tastes. Still, the usual toasty malts, roasted nuts, and hints of cocoa are all there, lingering amidst a clean-drinking weissbier. Description: This latest release by Driftwood’s is also the brewery’s first-ever attempt at a lager. In keeping with that venerable tradition of brewing, they have chosen to go with a Czech-style Pilsner. And in true craft brewing fashion, they fashioned this brew using malts that were grown and malted on the Saanich Peninsula by artisan Maltster Mike Doehnel. Hence why it is named in his honour. It was then lagered for six weeks prior to being released this past June. Get it while it lasts! Tasting Notes: This Pilsner was definitely a great addition to Driftwood’s lineup – a Czech-style lager with a West Coast twist. Crisp malts intermix with notes of citrus, herbs and minerals, and finish very cleanly, offering a refreshing and tasty brew with just enough complexity. Kudos to Driftwood for expanding into unknown territory and creating a winner in the process!